Being on a ketogenic diet, to begin with, may not be the easiest thing for a lot of people due to the foods you can eat on keto. It’s easier for people that eat meat and can get their proteins and fats but what happens when you’re looking for vegetarian keto recipes? Things get a little bit harder, but not impossible and that’s why we’ve hunted down some of our favorite vegetarian recipes for people doing the keto diet. When you’re a vegetarian, typically you consume a lot more carbs to make up for the lack of nutrients you would usually get from other foods. You have to eat something though. 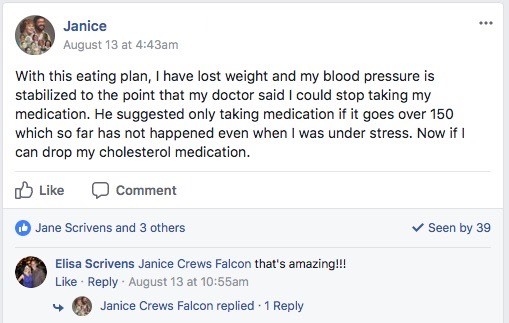 You can’t just eat a bunch of low carb vegetables and think that you’re going to be successful with the keto diet. There is no way you can reach ketosis through a diet of just vegetables. By now you should know that a keto diet calls for you to consume very little carbohydrates. What are you going to eat if you can’t have meat and you’re on a carb restriction? 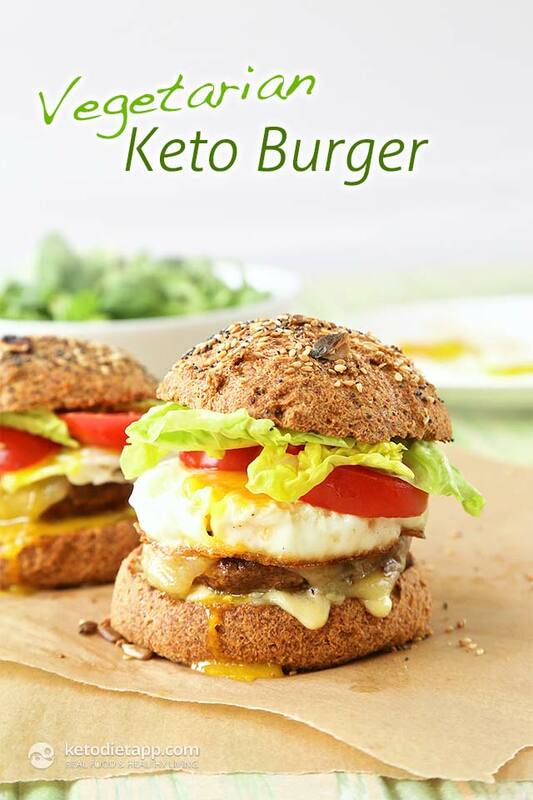 The beauty of the keto diet is that there are always options for you. Doing a little research goes a long way. 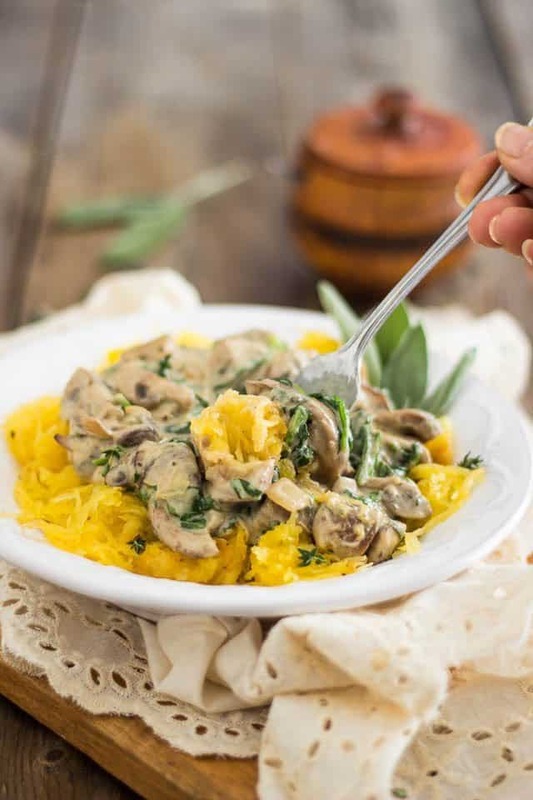 Below are some vegetarian meals that can go a long way with your keto journey. Avocados are one of the most popular foods around nowadays. If you haven’t jumped on the avocado train, then I suggest you do, especially if you’re a vegetarian. This meal allows you to combine an avocado with eggs, which is allowable for vegetarians to eat. Eggs are going to provide you with a lot of protein, usually more than you’ll find from other meat sources. 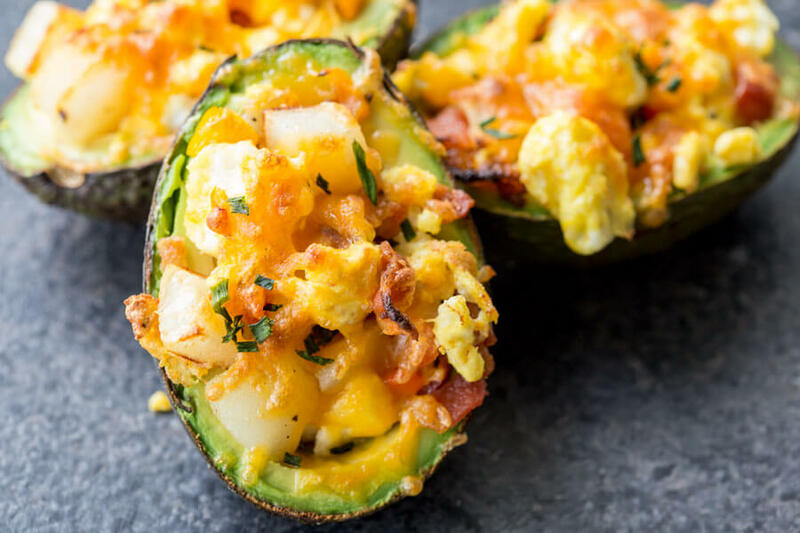 Avocado, eggs, and cheese. That sounds like a nearly perfect breakfast to me. There really isn’t much that you can complain about when it comes to this meal. 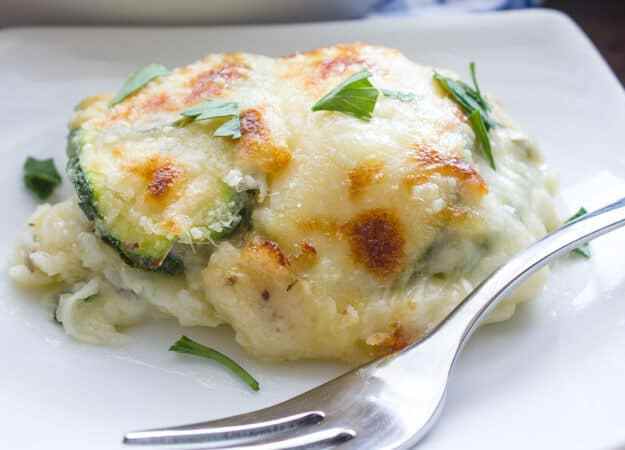 This recipe does call for some potatoes, which is going to really add to your carb count, so I suggest you don’t try this recipe until your body is accustomed to the keto diet and has been in ketosis for a sustained amount of time. Be aware that the original recipe calls for bacon as well. To make it vegetarian, simply take away the bacon. This will have a small impact on the macros, but not much because you won’t be using much bacon, to begin with. Because you’re looking to stay vegetarian, your options are more limited than that of somebody with no restrictions on the food they can eat. You need to eat more vegetables to make up for the lack of meats. There are plenty of meatless protein sources out there. For this spinach and feta pie, you’ll be getting a meal that will be much more delicious than it looks. It’s going to look like a weird pile of grass held together by feta cheese but when you bite into it, you’ll get all the flavors that combine so well together. This recipe is as easy as mixing all the ingredients together and putting that mixture in a waffle iron. 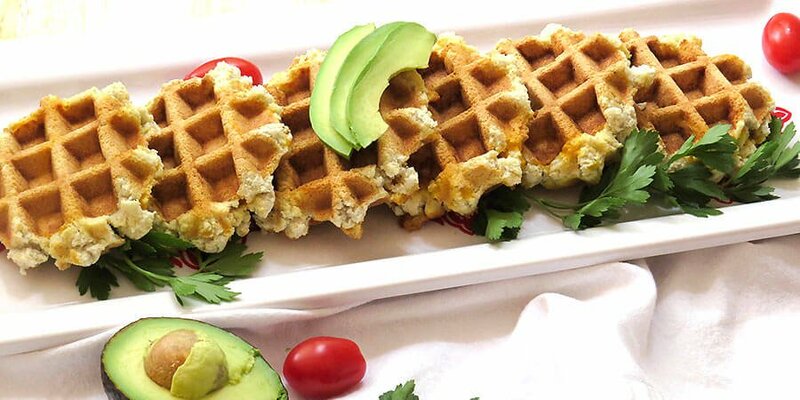 Waffles is a personal favorite of mine when it comes to breakfast foods, so this twist on the waffle is satisfying. It can go with almost any meal. You don’t have to feel obligated to eat this just as a breakfast item. The best thing about this meal is that you don’t need syrup to get that added greatness of a waffle. This waffle is just as good without any added sauce. Hopefully, you love cheese because this meal is almost as cheesy as it gets. One thing when it comes to vegetarian meals, a lot of them are going to possibly have a slightly higher carb content than other keto meals. You have to be much more conscious about what you’re consuming because you don’t want the carbs to sneak up on you and kick your body out of ketosis. This cheesy meal is delicious but should be consumed sparingly, which might be difficult after you taste how good it really is. The first thing you might notice about this recipe is that it’s carb count. Yes, it’s higher than most other keto meals when it comes to the carbs, however, you can still make it fit your daily macros. This is more for the advanced keto goer because of the carbs. 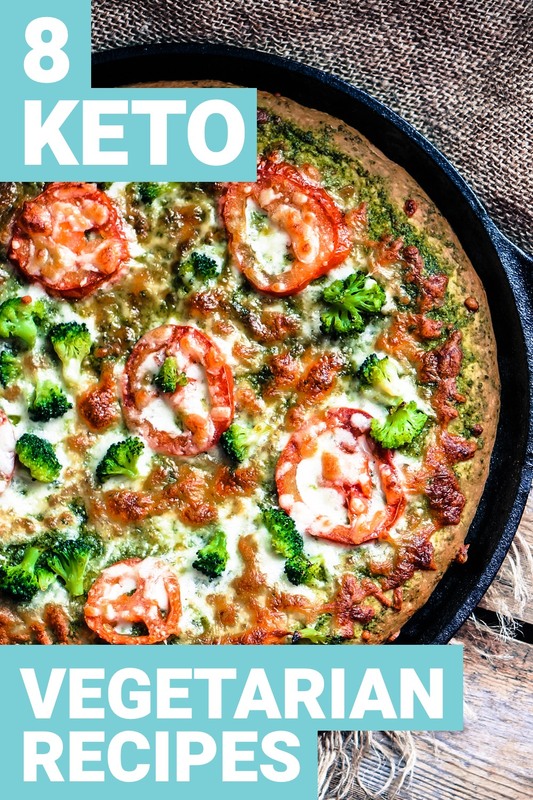 I would not recommend this recipe if you’re just beginning the keto diet even if it does sound extremely appealing. When you do allow yourself to have this recipe, you’ll be more than satisfied with the overall taste. At first glance, this salad looks like it has some sort of fish on it. This isn’t fish though, its cheese, thus making this a great vegetarian option anybody. 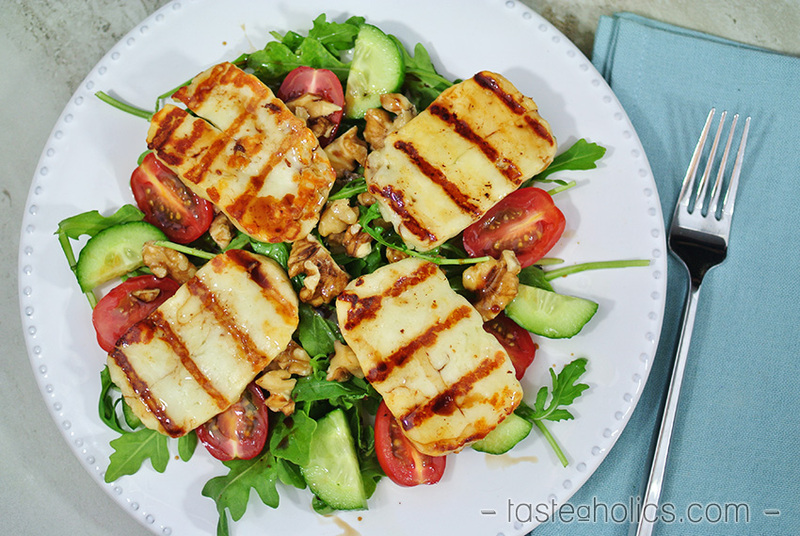 You have a lot of typical salad ingredients but adding the halloumi cheese is going to give you more fat and protein to help you stay on top of your macros. Another added bonus to this recipe is that it takes almost no time to make. Once you cut the cheese you can just add all the ingredients together. There is no annoying prep or cook time that has to go into this recipe. Eating it cold is probably the best option as well. I’ve had my fair share of vegetarian burgers and not all of them are as good as they may look. This keto vegetarian burger is one that is definitely as good as it looks. It’s a burger that all vegetarians should try. You have so many flavors that there is no way you can be disappointed with how this burger turns out. It’s not going to have the same kind of juiciness as a regular burger, but this is for vegetarians. Because of that, I think this provides you with just the right amount of juiciness without it being too messy as well. Eating something messy can be fun at times but when you’re eating a burger, you are going to want everything to stay intact for as long as possible. Eggplant would almost never be my first choice as a food. There’s just something about it that makes it not very appealing to me. However, this recipe is trying to sway my opinion. If you aren’t big on eggplant, be careful of this recipe because it could very well make you a big fan of it. The garlic parmesan flavor you get with this eggplant completely makes you forget you’re actually eating an eggplant. Because of that, you’re going to enjoy this whether you’re an eggplant fan or not. Staying on a vegetarian diet isn’t always the easiest since your options are limited more than those that don’t restrict their diet. The fact that you’re on a keto diet makes things even more difficult since you have to significantly cut carbs. However, this is more than doable and takes discipline. You need to make sure that you’re always aware of the little carbs you do consume because they can still easily add up. 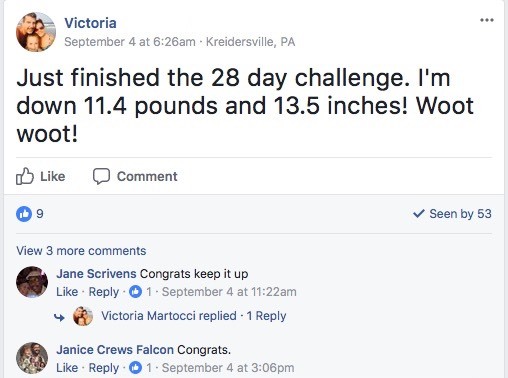 Trying so hard to stay on a keto diet and getting off track because of carbs you aren’t paying attention to is something that can come back to haunt you. If you need more help being a vegetarian on the ketogenic diet, look at Keto Bootstrap. You will be able to find the support and help you need with all of your keto questions. 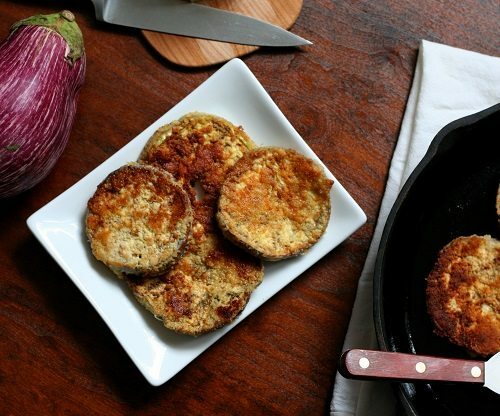 Enjoyed 8 Vegetarian Keto Recipes Everyone Will Be Able to Enjoy? Share it with your friends so they to can follow The Daily Nutrition journey.